Belacan (or belachan, however you spell it) is one of the best things in the world. It may smell worse than gym socks but oh, the umami power in that compressed block of fermented shrimp paste has no equal. 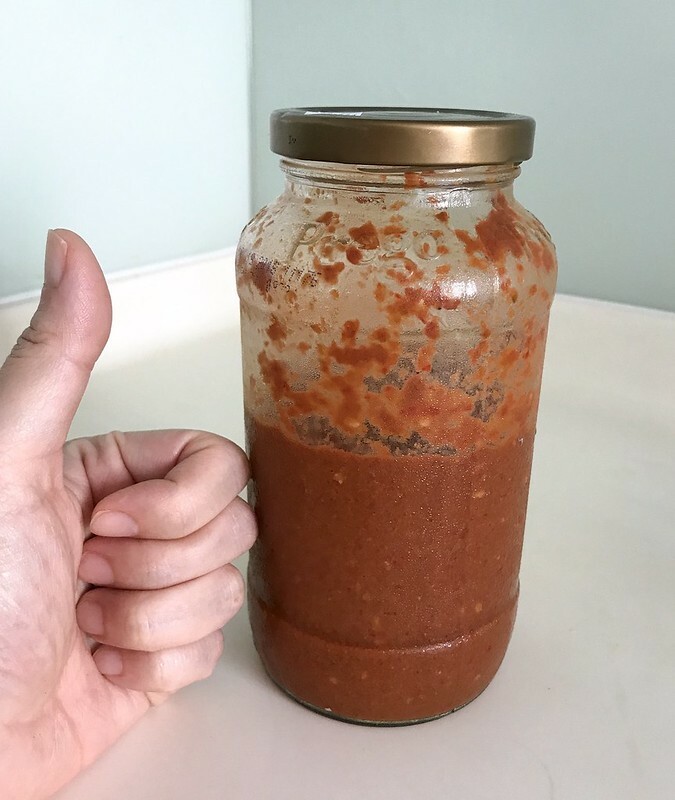 Yesterday, I tried making sambal belacan for the first time ever. I had no idea this delicious condiment was so easy to make. It tastes so insanely addictive I was sure all this while it would require skill and sorcery. After all, it's the yardstick by which we judge Peranakan restaurants and chefs. But hey take a look: it actually doesn't take that much time or that many ingredients. Now I can make as much as I like to enjoy with all manner of rice, bread, beehoon, fried fish, vegetables, and such. Feel free to adjust the ingredients to taste. These are approximate, depending on the size of the items and your personal taste preferences. Add more belacan if you like it strong, or more limes if you prefer it tart. Clear all laundry or hanging clothes near your kitchen. Seriously, unless you want eau de belacan perfuming your clothes, this is essential. Toast belacan in a frying pan (no oil necessary). The belacan will crumble and become more powdery as it dries, so just help it along by breaking it into pieces. Put all ingredients together and pound with mortar and pestle for 6-8 minutes until you reach desired texture. Or just blitz it in a blender or food processor for 15 seconds. As you can see, I took the easy way out, as I was making a double batch. Serve with a cut calamansi lime. The rest can be kept in an airtight bottle or container for a few days refrigerated. 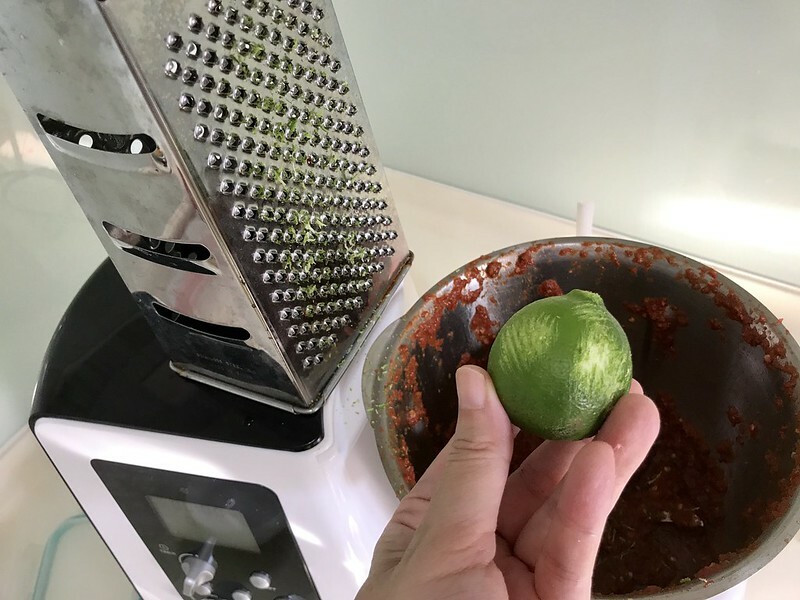 I saw one recipe where the lady cut up the skin of a green lime into tiny pieces and added that in. So you can experiment with that; the visible pieces of lime skin also add a nice colour contrast. Or you can use the zest of kaffir limes and see if you like that. The smell of belacan is why I haven't attempted this for years in my fussy household. But life is passing me by quickly, so I don't care anymore. I just want to make bottles and bottles of this happiness. I doubled the portion above (10 chillies) and it yielded me half a bottle. 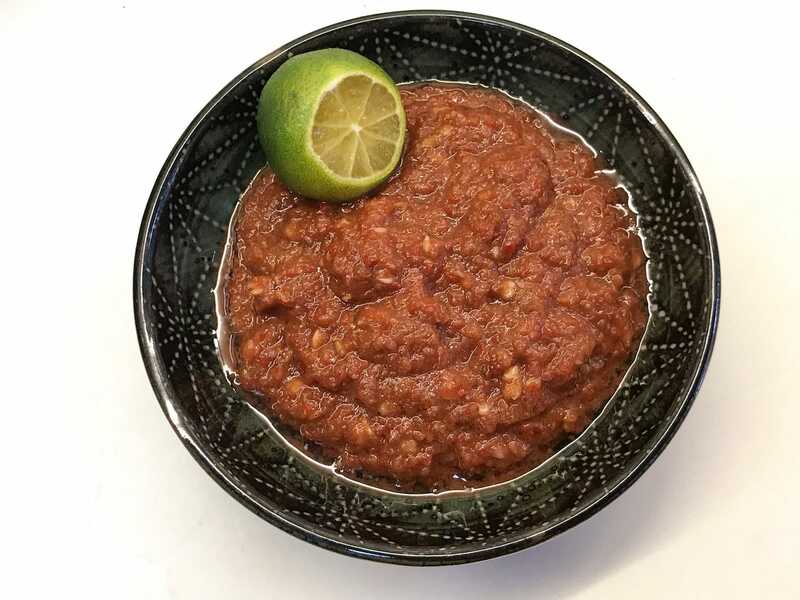 The portion above (5 chillies) will probably yield enough sambal for 4-6 persons at one meal. 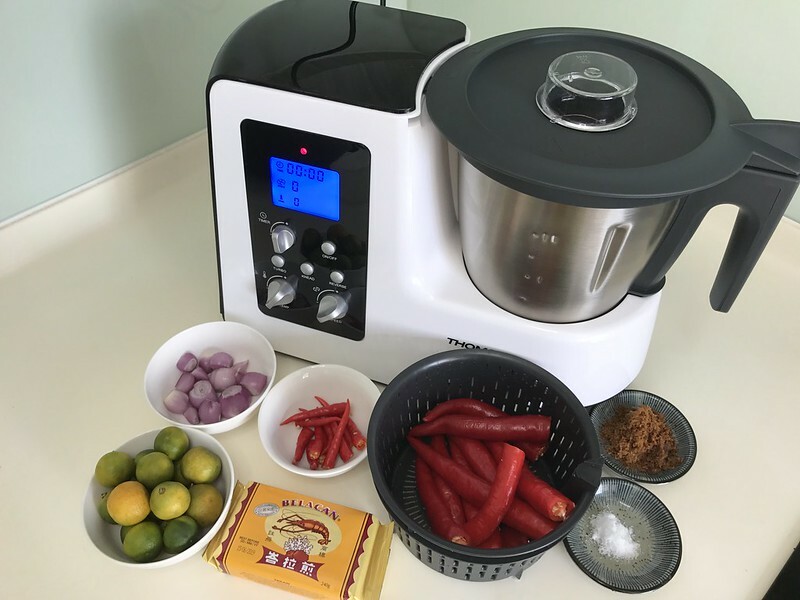 Sambal blended using the Thomson Kitchen Master, a multi-function kitchen appliance.